Today’s Pro Bono News cartoon. For more background see the post ‘Asylum Seeker Workers to Ignore New Laws‘. 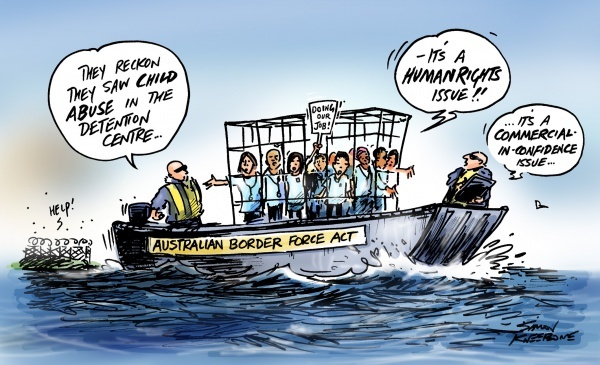 Today’s Pro Bono news (the Not-For-Profit Sector online news service) NFP Kneebone cartoon. 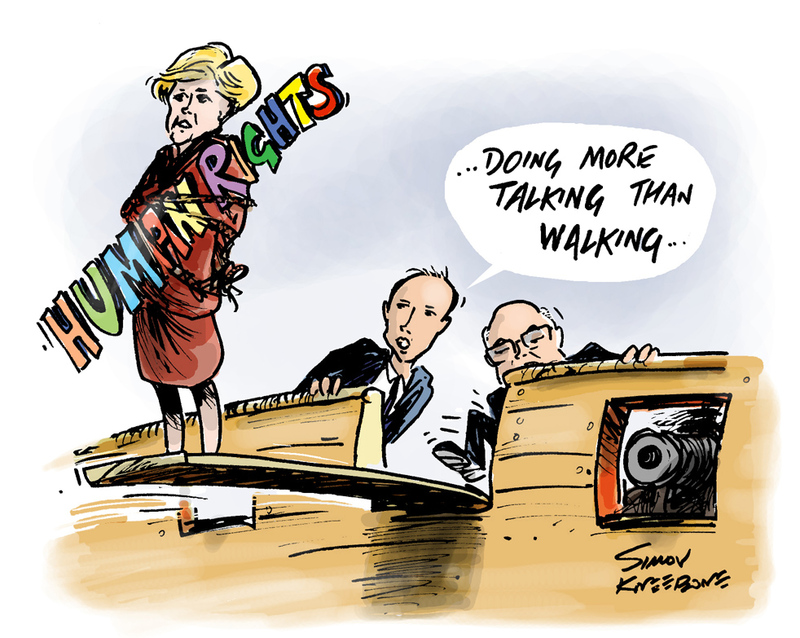 Read more about the issues between the Human Rights Commissioner Gillian Triggs and government ministers George Brandis and Peter Dutton on the ABC news website here. When are basic rights a luxury? 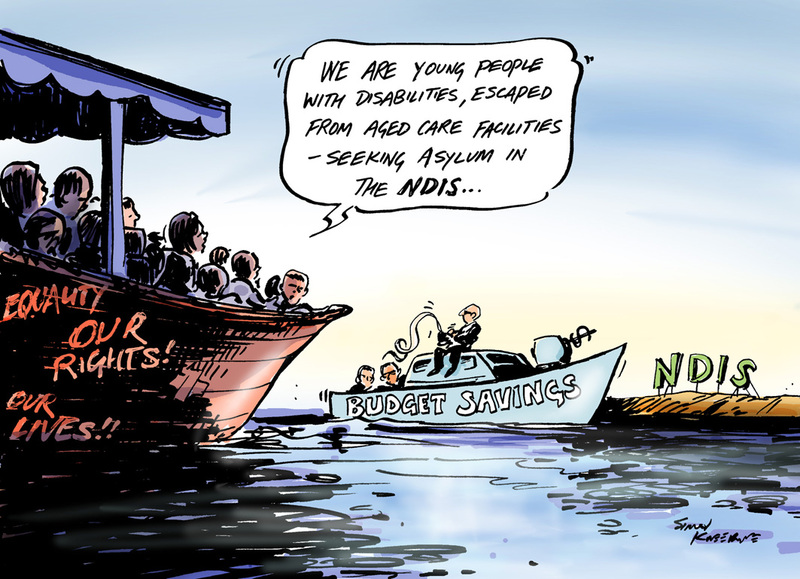 ‘Advocacy and Disability Not for Profits have reacted strongly to suggestions that funding for the National Disability Insurance Scheme [NDIS] may be cut back or the roll-out slowed. The Coalition Government indicated for the first time that the National Disability Insurance Scheme may be hit by funding cutbacks as part of so called “budget savings”’. Read more from the Pro Bono news website here. Pro Bono is the ‘online hub for people engaged with Australia’s Not for Profit Communities’.